Since bookmarklets are universal across browsers, this means it works on any browser (that supports bookmarklets, which is most) and any device. And if it works on any device, that means it will work on your phone! If you haven’t already, head over to the Closet Assistant page and install it in your browser. Follow the instructions there to drag it up to your bookmarks toolbar in Google Chrome, Firefox, or Safari. Make sure you are logged into your browser. That means you’re synced with your Google account on Google Chrome, or you’re synced with your Firefox account on Firefox. Most of the Closet Assistant users are using Google Chrome, so make sure your Google account is connected! If you’ve just installed the Closet Assistant, it will be a few minutes before it is synced to your other devices that are using Google Chrome (and are synced through your Google account). If you had the Closet Assistant installed for a while now, chances are it is already synced up and ready to go! Now we can switch over to your phone or tablet. When you’re there, open up Google Chrome or Firefox and head over to Poshmark. 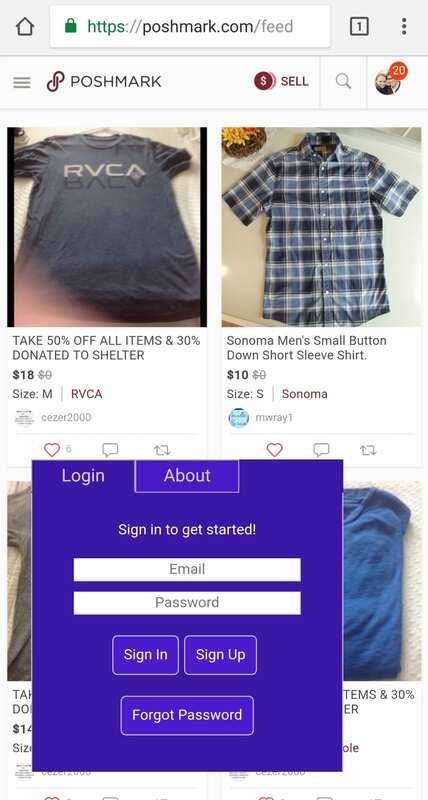 Go ahead and log in, and head to the page you want to share (your closet, someone else’s closet, a party, whatever). Now, tap on the address bar as if you were going to search something or enter a website. Go ahead and tap that option, and you should see the assistant pop up on the page! Now you can use the Closet Assistant just like you would on your desktop! So now that you’ve successfully installed the Closet Assistant on your phone, everything is just peachy, right? You’ll want to set your screen so it doesn’t timeout. That way it always stays open and awake. If you don’t do this, the assistant will stop in the background. This hasn’t been fully tested, so the performance may vary. If you’re noticing that it’s doing some weird things on your phone that it doesn’t do on your desktop, you might want to keep using the desktop. 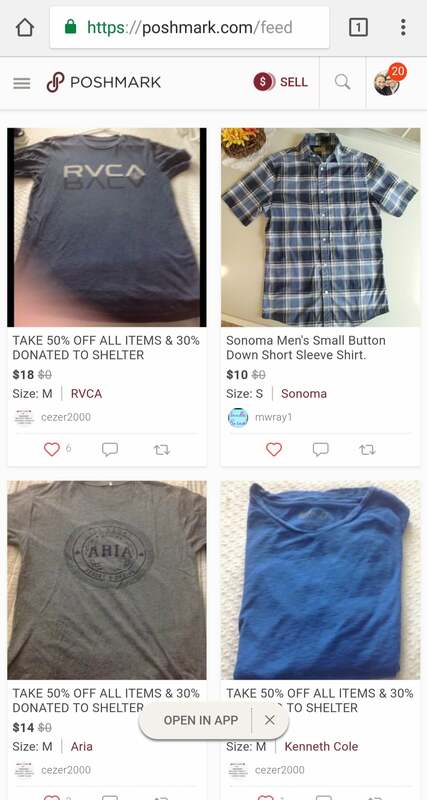 As usual, you’ll need to scroll down the page a bit to show all of your items before you can share all of your items. You can check out all of the options and how to use them over on the documentation page. 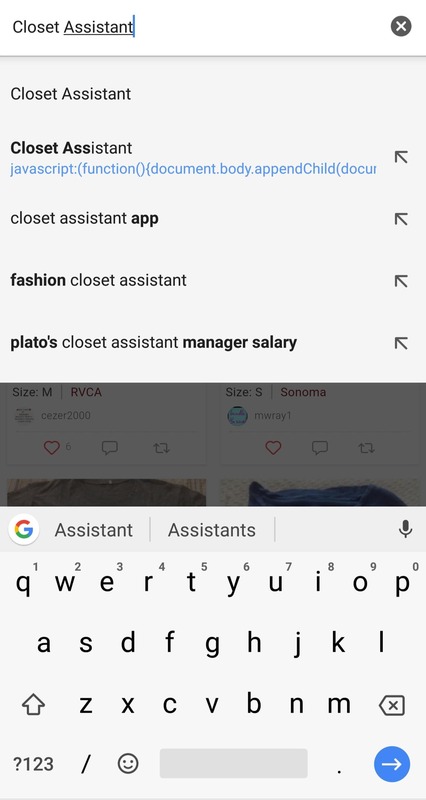 What do you think about using the Closet Assistant on your phone? Comment below if you’ll start sharing more on the go!